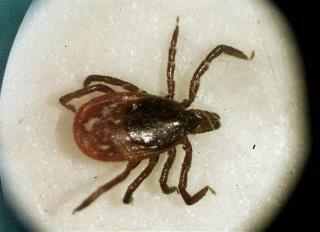 (Newser) – There's an emerging tick-borne disease spreading across the US, and it has infectious disease experts sounding the alarm. The so-called Powassan virus, which the CDC reports is related to West Nile, is still very rare, with only about 75 cases reported in the past decade. But it is far more worrisome than Lyme disease, in that it's transmitted much more quickly (under an hour versus 24 hours) and can be fatal—the virus can cause meningitis and brain inflammation called encephalitis. An "important change in the ecology" of the virus is behind the emerging concern, reports the Yale School of Public Health. Though the first reported case dates to the 1950s, it wasn't considered a threat because it was transmitted by a tick that rarely bites humans, reports Today. Now that it's found in deer ticks, the game has changed. It's the earth retaliating against humans, Darwin's theory, the fittest will survive, and ostensible that will be the bugs. Isn't it mice that spread the infection, not deer?